Tesda Accredited-Pasig, Pasig City Institute of Science and Technology - Sta. Lucia Annex is now open for enrollment for the following training program. 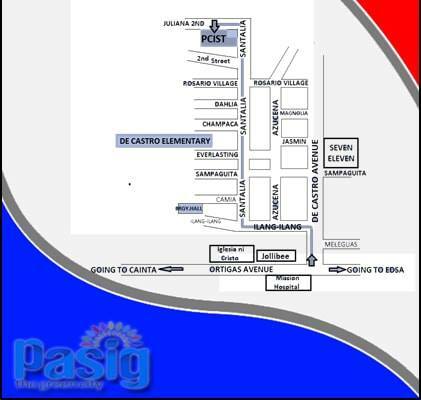 How to go to Pasig City Institute of Science and Technology - Sta. Lucia Annex? For more details, you may contact Pasig City Institute of Science and Technology - Sta. Lucia Annex no. 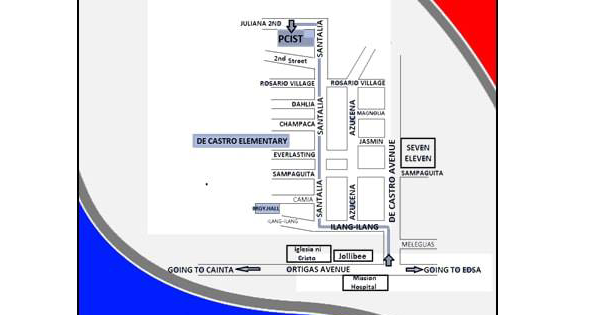 Dial 637-9566 / 0932-464-9409 Or Visit PCIST at 2nd corner st. Dona Juliana Dos Subd., Brgy. Sta. Lucia Pasig City (near De Castro Elementary School). The training schedule is available only on Monday to Friday (8AM TO 5PM).